American Epic is a three part music documentary by PBS that focusing on music in America during the 1920s. I plan to peep the series after the third installment drops on May 30th. If you are a fan of American or music history, I def recommend you check it out too. I will add the American Epic trailer below. But if you are on our site, you want that Hip Hop. So here we go. Nas was invited to the documentary to record “On the Road Again”, a song from the Memphis Jug Band. The band recorded this song in 1928. Nas lends his vocals to this (almost) 90 year old song but does not change the original lyrics. But when you hear the single, you might think it is a contemporary track (I know I did). Nas even says, 'When you hear me saying it, you might think I wrote it, because it sounds like something today". When I first heard the track, it reminded me of "Bridging the Gap". That single was from Nas' Streets Disciple, and featured his father (a jazz musician). So peep the single below. It is very cool to hear music that has a century of history but brought back to life again through Hip Hop. 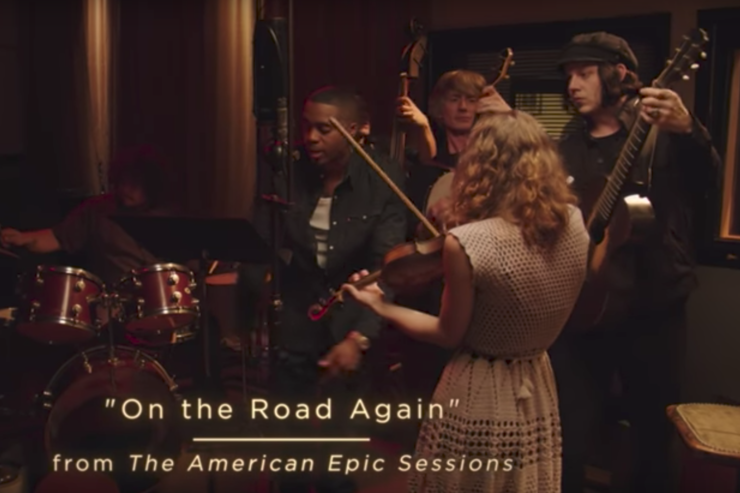 I am also throwing up two trailers for American Epic, the second features Nas and the recording of "On The Road Again". AND I found the original version of the song with the Memphis Jug Band. Knowledge son.